Porsche hopes to win reluctant sports car buyers in China with cheaper and less powerful versions of its latest Boxster and Cayman models. The Volkswagen Group brand expects it can nearly double annual sales of its 718 Boxster roadster and Cayman coupe in China by offering base versions with 250 horsepower for under 600,000 renminbi ($90,000). In Europe and the U.S. the models have 300-hp and 350-hp engines. The 600,000 renminbi price is "a magical threshold for customers in China," said Jan Roth, head of the 718 model line, told Automotive News Europe on the sidelines of the 718 Cayman press launch. "A lot of the TTs that Audi sells in China, the smaller displacement 1.8-liter versions with rear wheel instead of all-wheel-drive, are priced below that, Mercedes too," he said. 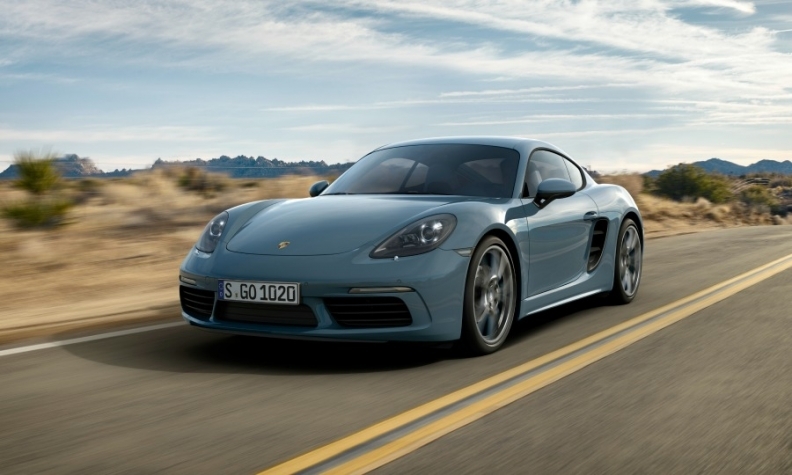 Previously a flat-six Cayman with 275 horsepower, for example, retailed for more than 700,000 renminbi in China. To protect resale values of the older generation, China is the only global market where the base versions of the Boxster and Cayman have a 2.0-liter, four-cylinder boxer engine producing 250 hp. Roth believes combined sales of the Boxster and Cayman in China could rise to around 4,500 in 2017, when both models are a full year in the market compared to nearly 2,500 in 2015. The new 718 Cayman joins the Boxster in Chinese dealerships in early December. China, the world's biggest auto market, is also Porsche's largest single market but sales of sports cars are low. Chinese customers are most familiar with the Cayenne SUV. Porsche sells nearly 16 times more Cayennes than its iconic 911 sports car in China. The 718 Cayman with 300 hp will go on sale in Europe and the U.S. in November starting at 51,623 euros ($57,200) in Germany and $53,900 in the U.S. excluding delivery.